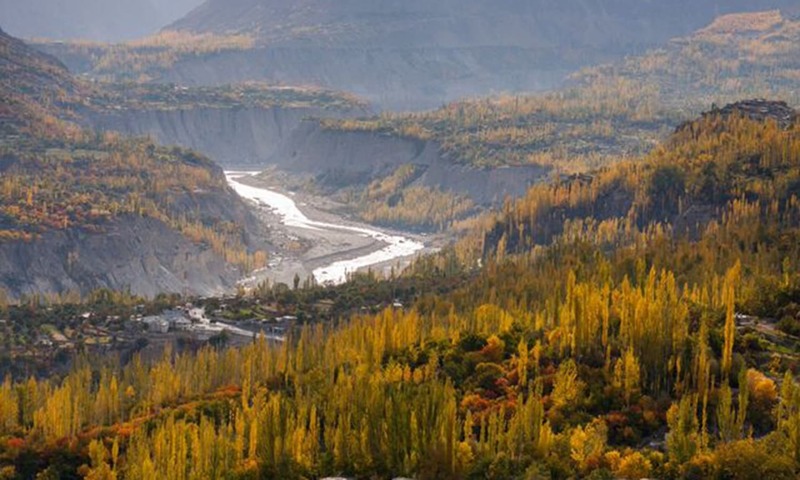 Pakistan’s Gilgit-Baltistan region is frequently in the news these days, but not necessarily for its mouth-watering cherries and dried apricots. The much touted US $46 billion China-Pakistan Economic Corridor (CPEC) will pass through this beautiful province in the north to reach Chinese-operated Gwadar port in the country's south. 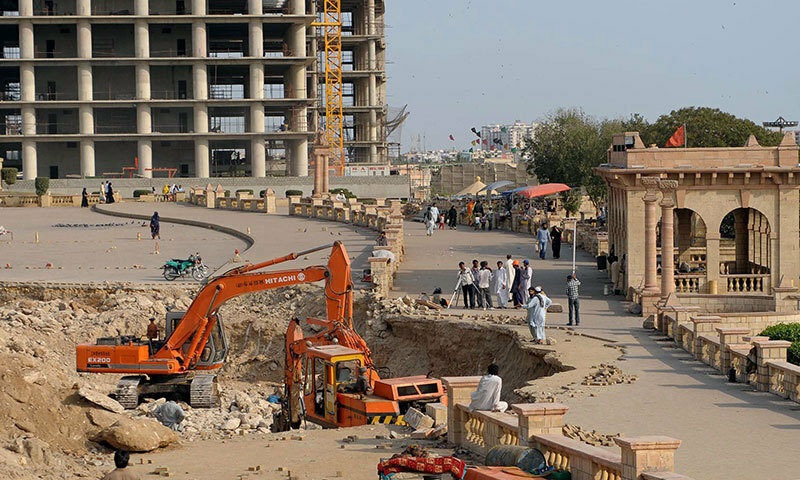 While there is hope it will transform the economy and help bridge Pakistan’s power shortfall, CPEC has also triggered concerns that the local people might be left out of the gains. 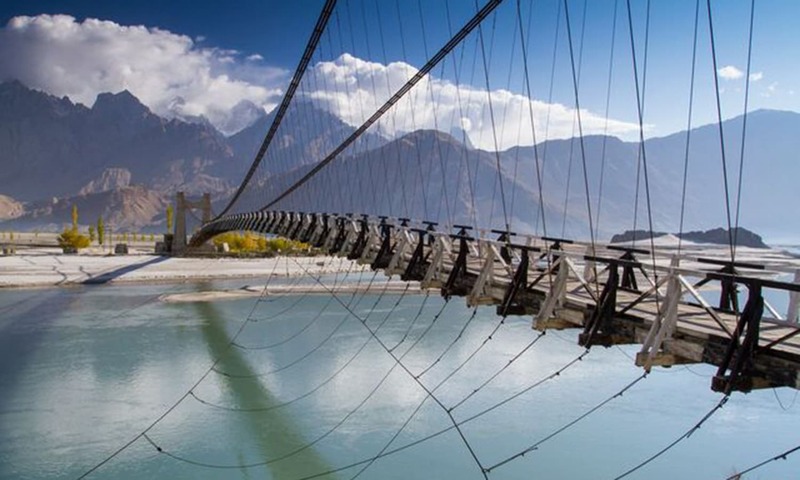 To be built over the next several years, the 3,218 kilometre route will connect Kashgar in China’s western Xinjiang region to the port of Gwadar. Currently, nearly 80 per cent of China’s oil is transported by ship from the Strait of Malacca to Shanghai, a distance of more than 16,000 km, with the journey taking between two to three months. But once Gwadar begins operating, the distance would be reduced to less than 5,000 km. If all goes well and on schedule, of the 21 agreements on energy– including gas, coal and solar energy– 14 will be able to provide up to 10,400 megawatts (MW) of energy by March 2018, to make up for the 2015 energy shortfall of 4,500MW. According to China Daily, these projects should provide up to 16,400MW of energy altogether. Businessmen like Milad-us-Salman, a resident of Gilgit-Baltistan who exports fresh fruits like cherries, apricots and apples, is hoping that CPEC will be a game-changer for the region. So far, the carefully packaged truckloads of fruit traverse the rundown Karakoram highway to reach the national capital Islamabad, from where they are flown to Qatar, Abu Dhabi and Dubai. Last year, his company, Karakoram Natural Resources Pvt. Ltd., sold fruit worth Rs20 million (US $190,000). “We sold 30 tonnes of cherries and 100 tonnes of apples,” Salman said. With the CPEC passing through Gilgit-Baltistan, Salman hopes the route will open business opportunities for the region's traders. Diverting fruit to China will be more profitable, for one, will be more profitable. 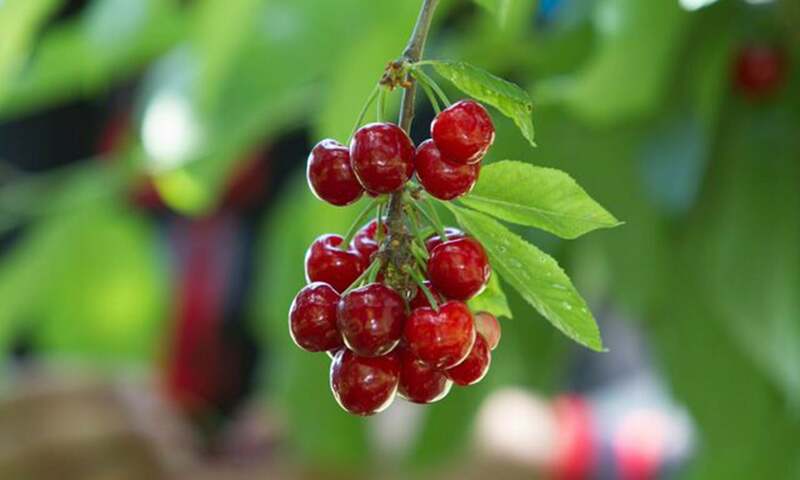 “We can double our sales and profits if we can sell to China where cherries are very popular," he said. Currently, he ships his produce to Dubai through air-cargo. "It would be faster and cheaper if we could send it by road to China via Xinjiang as we can get a one-year border pass to travel within that border," Salman explained. According to the Asian Development Bank (ADB), Gilgit-Baltistan produces over 100,000 metric tonnes of fresh apricots annually. 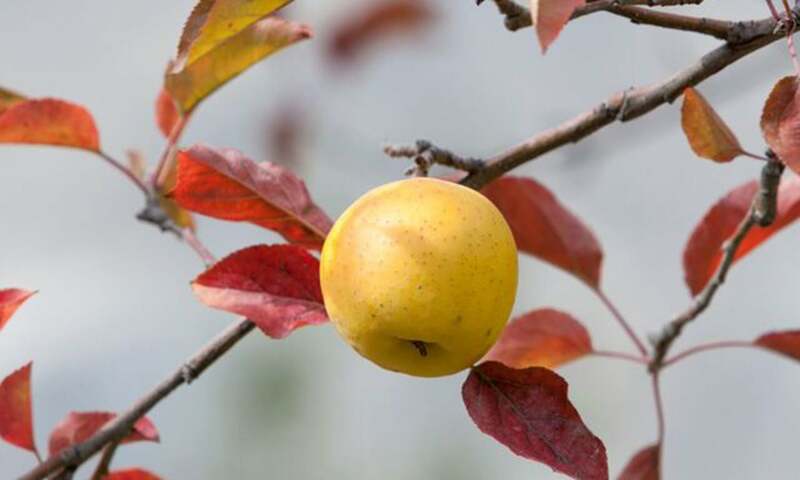 While there are no official surveys, Zulfiqar Momin, who heads Farm House Pvt Ltd., which exports fresh and dried fruits to the Middle East, estimates that Gilgit-Baltistan produces up to 4,000 tonnes of cherries and up to 20,000 tonnes of apples. “All fruits grown in Gilgit-Baltistan are organic with no pesticides used,” Momin said. The CPEC, some believe, will also boost tourism in the 73,000 square km region. The region is considered to be a mountaineer’s paradise, since it is home to five of the ‘eight-thousanders’ (peaks above 8,000 metres), as well as more than 50 mountains over 7,000 metres. 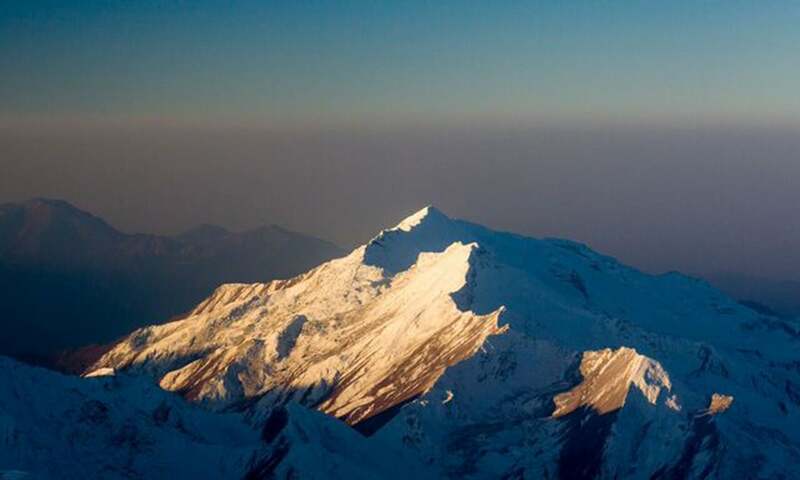 It is also home to the world’s second highest peak K2 and the Nanga Parbat. But development consultant Izhar Hunzai, who also belongs to the area, has no such expectations. The CPEC, he feels, is nothing more than a “black hole” as far as the people of the region are concerned. “The government has not engaged with us; we do not know exactly how much or what Gilgit-Baltistan’s role will be in CPEC or how we will benefit from it,” he said. While both Pakistan and China will benefit through this region, he feels his people will be left “selling eggs”. “I fear when the region opens up, it will give short shrift to the locals," he added. Also read: China’s new silk road: What’s in it for Pakistan? But it does not necessarily have to be this way. According to Hunzai, the region has infinite water resources to tap. “By building hydro power projects, Pakistan can sell clean energy to China and even use it for itself, the development consultant said. 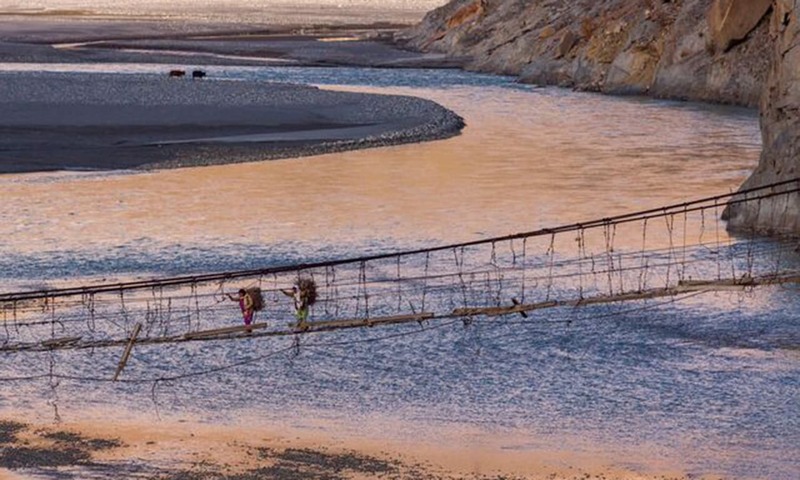 "If Bhutan can sell to India, why can’t we sell to China?” Hunzai poted out that the Chinese already taking the country’s national grid to its border province. It made little sense to him that the Pakistan government wanted to buy 1,000MW of hydropower from Tajikistan under the Central Asia South Asia (CASA-1000) project and construct an expensive 750km transmission line when the resource was right there in the country’s own backyard. 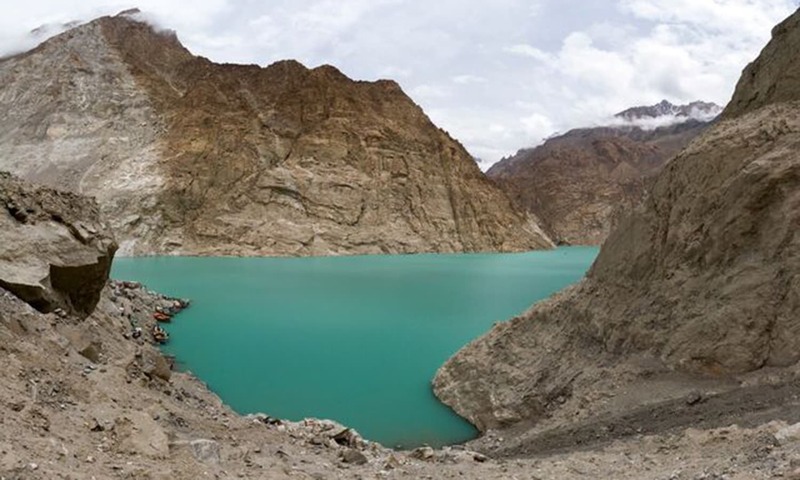 However, the government is almost ready to revive the Diamer-Bhasha dam, a gravity dam on the Indus river in Gilgit-Baltistan, in the second phase of CPEC. Once completed, it is estimated to generate 4,500MW of electricity, besides serving as a huge water reservoir for the country. According to the ADB, Gilgit-Baltistan has the potential to produce nearly 50,000MW of energy. Just Bunji Dam, a run-of-the-river project that the ADB has invested in, has the capacity to generate up to 7,100MW electricity when completed. 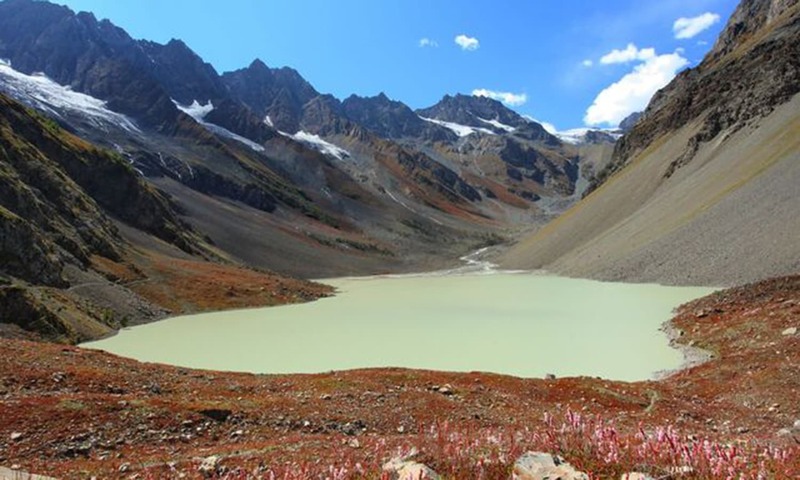 The government is not wilfully neglecting the region, countered long-time hydropower advocate Tahir Dhindsa of the Islamabad-based Sustainable Development Policy Institute. Instead, he feels the problem is more about the profits that middlemen make. It is all about the “kickbacks and commissions” that one can earn quickly from “cheap and carbon-spewing coal power plants”, compared to almost none from hydropower projects that can take up to 10 years or more. “The future is renewables as has been reiterated in Paris at the COP21 and Pakistan should seriously be thinking about its future course of action,” he said. 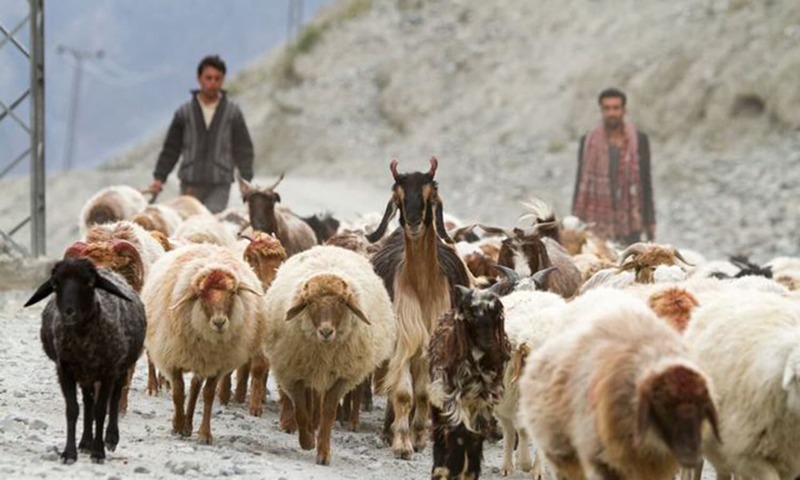 There is also the fear that the CPEC may lead to widespread displacement of the locals. “Of the 73,000 square kilometres, cultivable land is just 1pc," Hunzai explained. "If that is also swallowed by rich investors from outside, we will become a minority and economically subservient once there will be no farmland or orchards left to earn our livelihood from." He is not the only one. Given the secrecy and confusion surrounding the project, its design and its budgetary allocation, three of Pakistan’s four provinces recently held a well attended All Parties Conference (APC) and vented their anger at the central government for its opaqueness regarding the share of investments for each of the provinces. “CPEC is not the problem. It has just highlighted the imbalance in provinces with the largest one, Punjab, being seen as favoured specially as far as investments on road infrastructure are concerned and fuelling bitterness among the rest of the three provinces,” rued Vaqar Zakaria, an energy expert heading Hagler Bailley. Trying to address the concerns of the provinces soon after the APC, federal minister for planning, Ahsan Iqbal, who heads the Planning Commission of Pakistan, said in a television interview that this was not a time for scoring political points by making the project controversial. CPEC, he said, was not a project to benefit a party or a government as was being portrayed by politicians and the media but to the entire country. Of the US $46bn, between $35bn to $38bn were earmarked for the energy sector– of this, $11.6bnwill be invested in Khyber Pakhtunkhwa, $11.5bn in Sindh, $7.1bn in Balochistan and $6.9bn in Punjab. Beijing has urged Islamabad to resolve the internal differences on the CPEC to create favourable working conditions for the project to roll out smoothly. —This piece was first published on The Third Pole and has been reproduced with permission. Lovely!!!. Just curious: Photograph 3 (Are they Apricot or Apple?) & 7: (Is it Sheep or Yak?)!. win win for both China and pakistan. I wish this CPEC be a Success, and this can be projected to all the youth and can encourage them to study and stimulate their thinking process on a right path. Very beautiful landscape and beautiful photography. Please keep the nature intact and do not pollute it with polluting trucks traffic. China has a major problem of polluting industries. Let them not export it to this beautiful land. This heaven will become another bustling metropolis with pollution and noise like Beijing . @IBN E ASHFAQUE Come on.. you are welcome in all over Pakistan to live and set up business. Hate and jealously has nothing to do if you are sincere with yourself. CPEC Connectivity is essential for the region. Xi's dream of $600B trade with Iran cannot be fulfilled without it. Forget, the motorway type service stations about each 100 km providing services and emloying ONLY locals, forget the increasing trade between different parts of Pak, forget the resultant increase in tourists from one region of Pak to another and the increased employment in this sector, forget the India transit trade through the CPEC, among other and just concentrate on the effects of this $600B trade, would not this bring prosperity to the millions? It is imperative for Pak & the region that everyone and NOT ONLY the Pak Govt should inform Pakistanis of the advantages of the CPEC and create a favourable atmosphere for it. @Santosh Menon It says im caption (pic 3), that its an apple. Other pic of of Sheep and not Yaks. China did similar project at Myanmar but it was too one sided. It needs to be appreciated that, CPEC is a continuation of long stalled project. Basically, it is a project for connecting the Shahrah e Resham with CPEC with Gwadar Port. 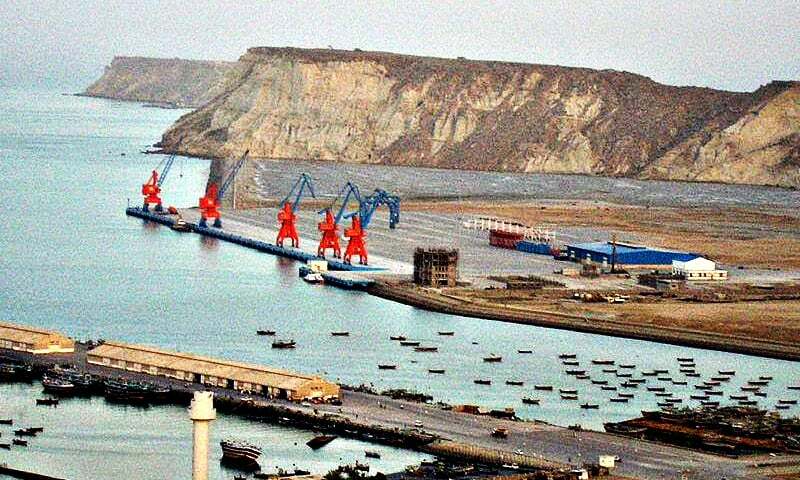 Gwadar Port was also constructed and developed by Chinese, clearly with an understanding to connect it later with the Shahrah e Resham through shortest economical route. @IBN E ASHFAQUE even the lahoris dont benefit from such projects because we dont need them!!! these projects only serve to satisfy the egos of the PMLN goons. 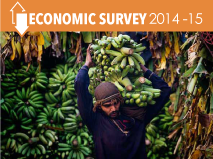 Time will tell, whether this economic boom will be for China, or Pakistan or both. If there was peace between the countries than he could even sell his cherries to the vast country 2 Kms across the border. @wellwisher .My apology, I am not aware of that project. China does have a project through Myanmar to India and Bangla. The problem there is that in the North there is a Han rebellion in Myanmar. Hans there want to be a part of China and they have camps on the China side of the border. This is a bone of contention between Myanmar & China. Once Xi is able to sort out the Indo-China border problem (likely to be sooner than later as in the re-organised PLA, he will have total control over the PLA), Modi will assist him with the Myanmar road as it will be in the interest of all 4 countries inc. Bangla. Xi is changing China and this will change the region - his aim is Connectivity NOT war. I foresee Abe-Modi-Xi partnership for progress & prosperity in many countries in Asia. your development consultants don't seem to understand that the problem with building water dams are they are hugely expensive to build they typically take 10 years to build, and end up swallowing virtually all the money government has and then some. Whilst there is no doubt longer term it makes sense to build these dams as electricity is indeed cheaper, However the Government can only afford to build one mega dam at a time. This they don't seem to have understood, the state does not have an unending bank account. @IBN E ASHFAQUE you are letting your view of the Noon league cloud your judgement of CPEC. It will undoubtedly benefit all the provinces, the country and even the region as a whole. Even Iran (able to export oil and gas to china) and Afghanistan (better access to sea ports, to import and export) will benefit not to mention the central asian states. @Santosh Menon - You are right about 7 but not about 3. Pic 7 are sheep. Pic 3 is apple - the skin is too shiny to be an apricot. @Atam Vetta - Dreaming is good, but only if the feet are on the ground. $600 billion China-Iran trade will happen via the New Silk Road Project of China, not via CPEC. Moreover, just look at the map to see the shortest route from Tehran to Kashagar. Every project has sceptics. There will be initial problems in CPEC but in the end things will work out. very nice and beautiful places , what why these beautiful places wait for CPEC only for prosperity as if developed in the theme of Switzerland or any other European countries tourist hill place with good facility then it would huge benefit for Pakistan and as well local population also. Wow ! I dream of a day I can take a train on the Delhi -Chandigarh -Manali - Keylong - Shingo La - Padum -Kargil - Skardu -Gilgit route !! One India !!! India is the fulcrum civilisation on which the world peace sustains. A melting pot of all religions and faiths. Oh my god. I did not ever see the Tehran Qasghar route before today !! Its just 9 hours by road. What is China thinking ??? Why this 5000 km long CPEC ??? The biggest mistake establishment of Pakistan is making (and many people too) is to designate CPEC as some kind of strategic maneuver, wherein China-Pakistan are competing with other interests (read: India, West, USA, Iran etc., depending on who you are talking to). By making these entities jittery, you are simply making sure that these states covertly subvert the project. @Santosh Menon It is an Apple which should have been plucked a few weeks because its drying up and even the leaves have turned Maroon, Apples are harvested in August but this one was left,perhaps, till Autmn is around, strangely it has not fallen off ! In other pic it is Sheep, Yaks are like Bulls & black in color. It was ever thus. Paradise lost. People must make room for more people. Hunzai's assessment seems credible. Why is the government continuing to consistently ignore the huge clean hydro energy potential of Gilgit-Baltistan and of the KPK provinces which can not only meet the growing energy requirements in Pakistan, but could allow its export to energy starved India? No comments can be given unless an authentic n neutral resource provides a clear picture of costs n benefits for the whole country. GB's NLI is onl the factor in the region which rescue Pakistan as well as GB sovereignty unless not Now we here. CPEC is a game changer plan and idea given by Chinese and accepted by Pakistan. knowing that this program is held in a disputed territory #GB. Which may create unrest situation. on the same hand #GB and its inhabitants are ignored by Govt of Pakistan since independence. Thanks DAWN NEWS for Publishing. CPEC can change the fate of the whole region. Pakistan China friendship zindabad!